Welcome to the online store of the Great Britain Supporters Club. The store carries our full range of merchandise. Items are also available at GBSC Roadshows and the end of season Elite League and EPL Play-Off Finals. Payment for all GBSC merchandise can be made by cheque or online using Paypal. We will happily ship Internationally and the checkout will automatically calculate the postage based on your location and the weight of the items ordered. 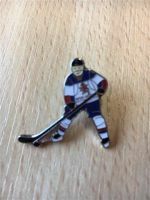 ALL profits go towards assisting the Great Britain Ice Hockey teams to participate at the IIHF World Championships and other tournaments.